What is the Air Duct Cleaning Service All About? Your vehicle uses heating and cooling ventilation systems to maintain a comfortable temperature in the passenger cabin while traveling. Over time, dust, dirt, debris and even spiderwebs can accumulate and trap moisture and other contaminants that could make driving less than a pleasant experience. If you run your air conditioner often during the summer months in Tustin, CA, and nearby communities, you get even more condensation buildup due to the cold air flowing through the system. That condensation traps dust, dirt and debris and can start to produce a foul odor after a period of time. When the experienced technicians at Nissan of Tustin service your car’s air duct system. They visually check the system to ensure it works properly. Any mold or mildew found in the duct system gets cleaned out using appropriate sanitizer, and a more pleasant spearmint or similar fragrance replaces any foul odors right after the air duct cleaning service. That additional scent only last a few hours, though, before the system returns to a more neutral condition, just like when your car was brand new. The cleaning helps to prevent aggravation of asthma and respiratory illness while traveling. Why Bother With Air Duct Cleaning Service? Many bad things can happen when you neglect the air duct system in your car. Most noticeable are any bad odors that might develop over time. Sometimes, those odors are caused by mice and other creatures that set up residence inside your car. That is especially true if your car ever spends extended time in cold regions where winters drive rodents and other small animals indoors for shelter. Mold, mildew, dust and other debris also can collect in your duct system and cause health problems, as well as just plain smell badly. 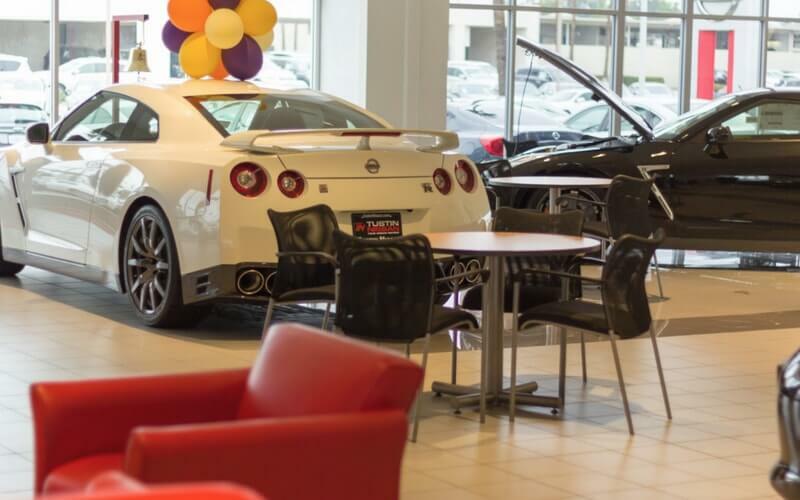 The certified technicians at Nissan of Tustin can ensure the air duct system in any Nissan make or model vehicle is free of odors and the foreign substances that cause them. 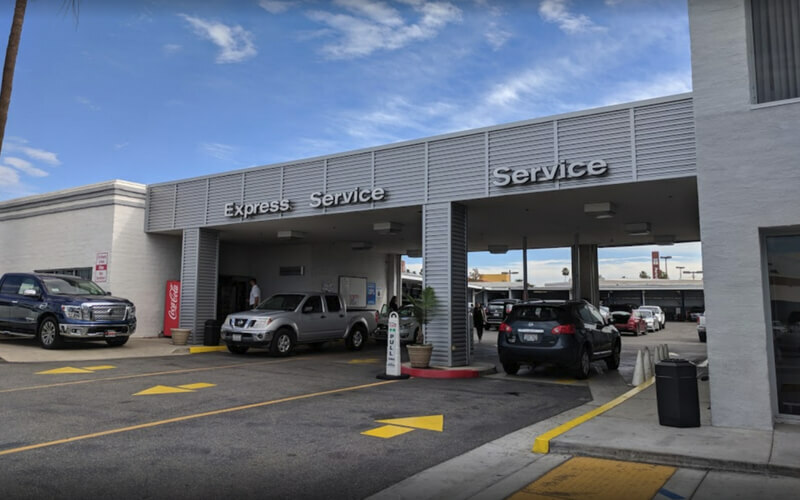 The service generally takes less than an hour, and those who are in nearby Irvine, CA & Santa Ana, CA can utilize the dealership’s shuttle service when time is of the essence. 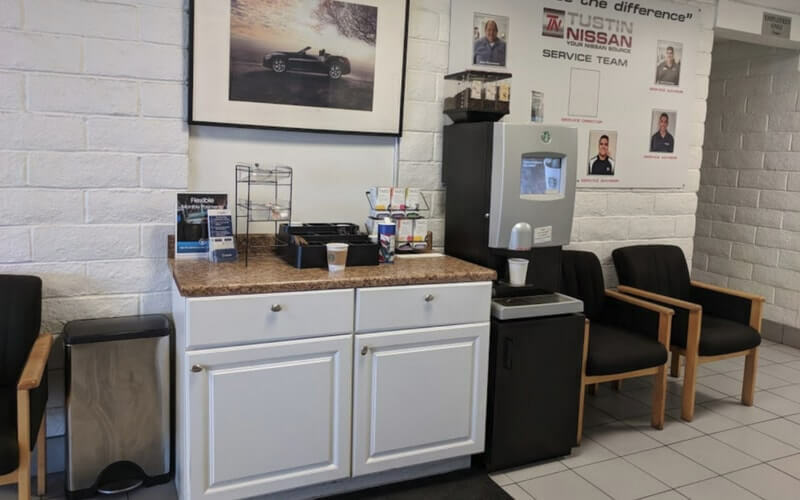 Those who choose to wait while work is done will enjoy the many great amenities in the customer waiting area, which has free WiFi, coffee and beverages, TV, newspapers and magazines, and a play area for children. Once your car is ready, you will have a clean-smelling car and efficient heating and cooling system.